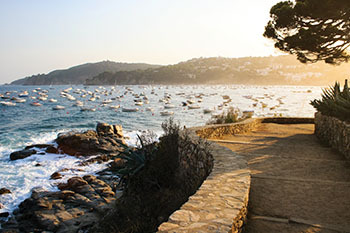 From the Balearic seashores of Barcelona to the edges of the Atlantic coast of Lisbon, you have the opportunity to travel across this diverse land of art and culture. You will delve into the literature that makes the Mediterranean heart beat. From the quixotic writings of Miguel de Cervantes in Don Quixote to the magical realism of Gabriel García Márquez’s One Hundred Years of Solitude, you will be mesmerized by the genius and depth of human creativity. Whether inspired by the graceful dance of diving dolphins at sunset in the Algarve or enjoying an afternoon reprieve in Gaudi’s Park Güell, this program is sure to engage and leave a profound impression on your life. My MEI experience was better than I could have ever hoped for. It has without a doubt been the best summer I’ve had and I wouldn’t change a thing if I had to do it over again. Long the home of writers and artists alike, Barcelona has been an inspiration for over two thousand years with its vibrant colours, unmatched architecture, and Catalan cuisine. We begin our course by pairing Ildefonso Falcones’ epic Cathedral of the Sea with visits to the actual Santa Maria del Mar, the great Gothic cathedral upon which the novel is based. 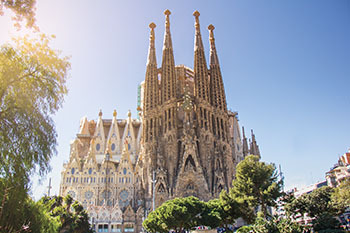 Students practice their hand at character development along Las Ramblas, poetry in Gaudi’s Park Güell, and travel writing in La Sagrada Familia, all between lunches along the Mediterranean and dinners in the Gothic quarter. 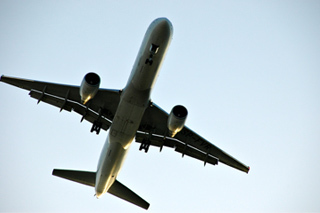 If we’re lucky, we may even catch a glimpse of the world’s most famous soccer team. The deep blue of the Mediterranean affords us a respite from the energy of Barcelona as we settle into our hotel along Spain’s rugged coast. Sunrises along the beach, and afternoon climbs through the coves and hills that dot the coastline make for an excellent location where students can focus on an academic analysis of our major summer reading. 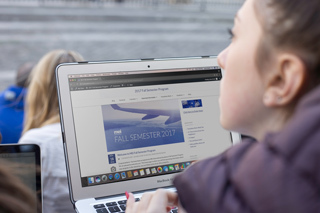 Master classes on essay writing and one-on-one editing sessions allow for tailored feedback that help students hone their expertise in finding literary meaning, formulating original analyses, and constructing effective responses. 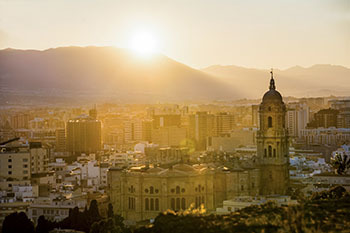 As the city that grew to importance before the Romans ruled the Mediterranean—and centuries later gave the world Picasso—Màlaga still holds a wondrous sway in the south of Spain, with a vibrant art scene, golden beaches, and a dynamic combination of Christian and Moorish architecture. Here, students participate in small group BookChat discussions and perform at evening podcasts, in between visits to the local craft market and fishing boats along Playa del Palo. Continued workshops on creative and academic writing help students develop their own unique style and voice. Next, we depart for Portugal and arrive in its illustrious capital—Lisbon. 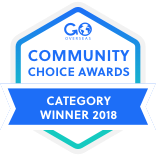 Here, we complete our final novel by award-winning, Canadian-Spanish author Yann Martel, and look out onto the vast expanse of the Atlantic Ocean. 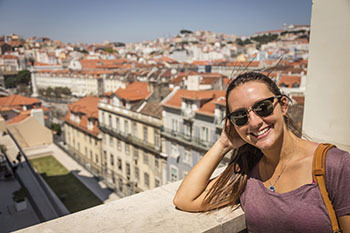 Whether climbing one of Lisbon’s seven hills, or listening to a performance of Portugal’s famed Fado music, students spend time in this fabulous port city watching for dolphins off the shores, exploring the cobblestoned streets, and preparing their final assignments in cafés in the Alfama. The Algarve provides us with a quiet, beachside village where students prepare for their final exam. Footpaths and caves along the coast dot this southernmost region of Portugal that sees almost 3000 hours of sunshine a year, making this a region of true beauty—it is no wonder the Portuguese launched their 15th-century explorations to Asia and Africa from here. On our final night together, with the sound of the wind and waves in our ears, we reminisce while looking out over sunlit cliffs; remembering what has passed before and looking forward to what may yet lie ahead.